Come out and start your New Year’s resolution to get more exercise and do more birding by counting wintering Bald Eagles on Lake Mendota with the Madison Audubon Society! The Mid-winter Bald Eagle Survey is federal count that has been going on since 1979 to survey the overall health of population in the lower 48 states. Bring your binoculars, cameras, scopes, and dress warmly for about a two-mile walk. Event is rain or shine. Meet at the entrance to Picnic Point (free weekend parking lot is across the street). Contact Drew Cashman at drcashman11@yahoo.com or 850-7264 to register or for more information. WANT MORE BALD EAGLE OBSERVATION FUN? Check out our new citizen science program, Bald Eagle Nest Watch! 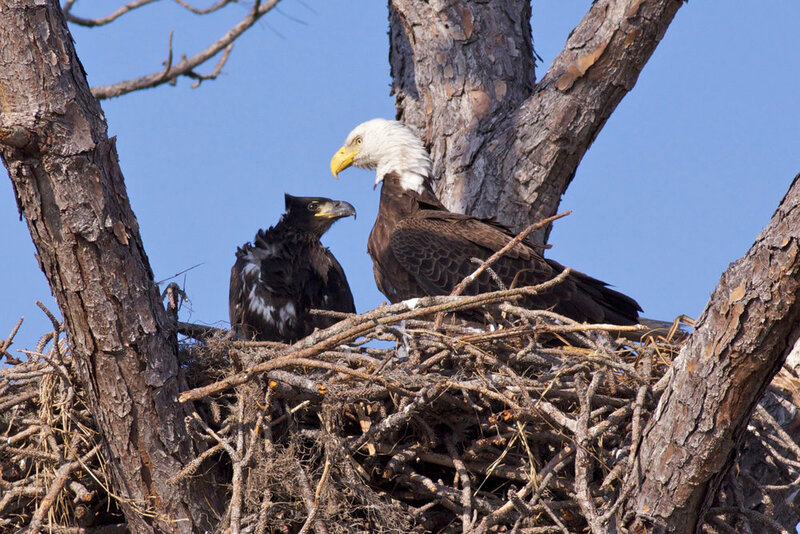 Adopt a bald eagle nest, watch a bald eagle family grow!